Use your cellphone or tablet to control the Freedom Par Quad 4 wireless lights. 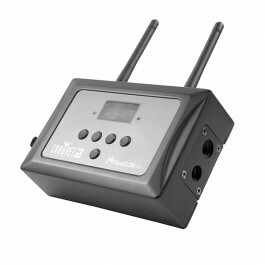 The FlareCON™ Air utilizes cell phones and tablets and turns them into wireless DMX controllers. It works with all CHAUVET® DJ Freedom™ series fixtures as well as all D-Fi™ products for versatile control over your rig.